When "gender fluid" story books replace Little Red Riding Hood, we should ask ourselves: Has society sunk lower than Sodom and Gomorrah? 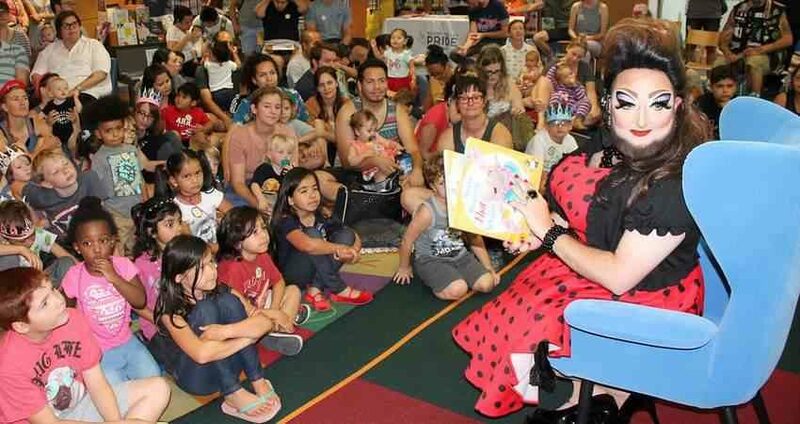 Endorsed by the American Library Association, the "Drag Queen Story Hour" has spread to twenty-one states, targeting preschool and grade school children with homosexuality and transgenderism in public libraries. The Associated Press filmed a "Drag Queen Story Hour" in New York. "Who wants to be a drag queen when they grown up?" asked the drag queen. "Meeee!!!" cried the room of little children. Coloring books used at these immoral programs teach toddlers how to "create your own drag name," and "circle your pronouns." "Whosoever shall scandalize one of these little ones that believe in me; it were better for him that a millstone were hanged around his neck, and he were cast into the sea" (Mark 9:41). Please withdraw all support for the "Drag Queen Story Hour" in public libraries. Exposing young children to unnatural behavior and brazen pro-transgender activism is immoral, harmful and confusing. Why is the American Library Association fueling this new form of child abuse?